Well, I will do Hall & Oates the justice of posting their 1981 single ‘I Can’t Go For That (No Can Do)’ and not giving into my tendency to reach for De La Soul’s sample ‘Say No Go’. Give these blue-eyed soul boys credit, where credit is due. Michael Jackson once confessed that the song heavily influenced his delivery of ‘Billie Jean’. ‘Body Talk’ you say; oh I so easily relapse into nostalgia. Imagination was formed by Leee John and Ashley Ingram. Their biggest hit by far was the Jolley & Swain produced title track off their 1981 debut album Body Talk. The well executed slow jam would sell more than 250,000 copies in the UK alone. But its success drowned out something far more special. Hidden on the the album is ‘Burnin’ Up’. The title may be trite, but the song was unbelievably fresh. Leee John’s work on the keyboards wouldn’t have sounded out of place on a DJ’s piano house set from a decade later. A banging proto-house tune. Have a great weekend. In the same year, The Teardrop Explodes released their album Kilimanjaro – not that I would have known at the time. However, the following January, Julian Cope and gang released ‘Reward’ as a single and its sound was able to bridge the gap between post-punk and the pop charts. Indulge me. The sound of a new wave dance party and the looks of Clare Grogan – these are distant memories. Altered Images has the good fortune of working briefly with veteran producer Martin Rushent at the right time. He produced the title track of their 1981 album in the same year he was about to hit gold on the production of The Human League’s Dare. Good morning. ‘Ceremony’ was New Order’s first single after the band changed their name. 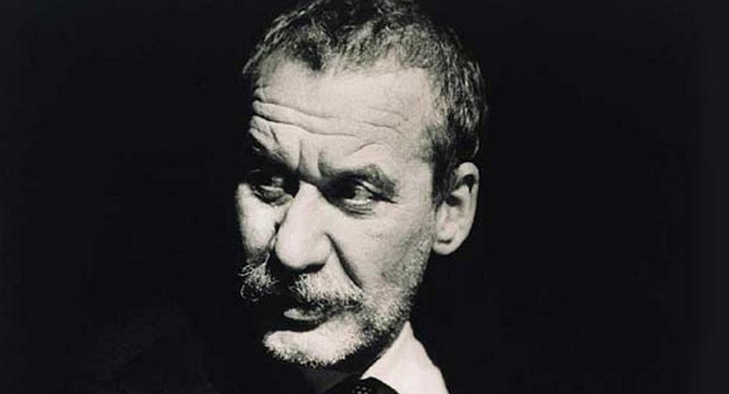 It had been originally recorded and played under the guise of Joy Division, their previous incarnation. With no Ian Curtis, Bernard Sumner would take the lead on vocals, setting the standard for New Order songs to come. Have a great week. It’s 1981 and a case of eeny meeny miny moe: will it be Bernard Wright’s ‘Haboglabotribin’ or Tom Tom Club’s ‘Genius Of Love’? The latter, I think. Established as a side project from Talking Heads by bassist Tina Weymouth, friends and family, Tom Tom Club had created a fusion of dub, reggae and p-funk that became one of the most sampled songs in hip-hop. ‘Genius of Love’ featured on their self-titled first album. Kraftwerk… where does one start? Well for me, it’s near the end rather than the start of the motorway. One of their later LPs, Computer World, reminds me of the mysterious world of continental aux pairs. That was 1981 for me. At the album’s centre is the nostalgic, but typically desolate, ‘Computer Love’. That just about sums it up. In 1981, rap heroes the Sugar Hill Gang famously ordered “Tonto, jump on it, jump on it, jump on it …” Have a great week. After the success of Madness’s cover of Prince Buster’s ‘One Step Beyond…’, Stiff Records were keen on Madness recording another instrumental track. Two years later, the result was something far less skanking. ‘The Return of the Los Palmas 7’ had an unexpected element of ‘60s lounge cool about it. 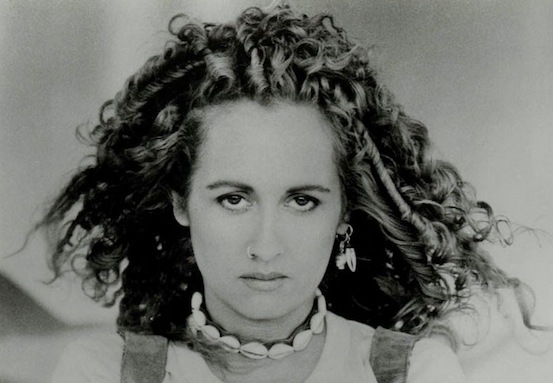 Mary Christine Brockert (aka Teena Marie) had calibre: ex girlfriend of Rick James; jazz funker; and highest selling white artist on Motown in her day… and then she did this. ‘Portuguese Love’ was off her last album with Motown, It Must Be Magic. It all ended in an acrimonious legal battle with Motown, but a guilty pleasure is exactly that. The sound of Monty’s, Vale De Lobo, September 2014. Tagged 1981, guilty pleasure, It Must Be Magic, Motown Records, Rick James, Teena Marie, Wham! In 1981, Orchestral Manoeuvres In The Dark smashed it with their third album Architecture & Morality. It was commercially successful and featured a handful of chart singles. For me, ‘Souvenir’ stands out as a classic slice of 1980s synthpop. With lead keyboards player Paul Humphreys on vocals, it was in fact OMD’s saxophonist Martin Cooper that wrote and delivered that wistful hook. Revisiting the heady mix of styles that was early 1980s NYC, ESG’s Scroggins sisters were up there with Tom Tom Club when it came to seminal p-new-funk-wave-hop. Taken from ESG’s self-titled EP, ‘U.F.O.’ has a bonafide classic break. Sampled to death, the song first came to my attention on the 1986 compilation album Ultimate Breaks & Beats, where it featured together with Liquid Liquid’s ‘Cavern‘ and Mountain’s cover of Leslie West’s ‘Long Red’. Public Enemy then sampled it on their track ‘Night of the Living Baseheads’ and the legendary status was guaranteed. This was another step in the collision between two New York genres… new wave and hip hop. Released a year after Blondie’s ‘Rapture’, ‘Wordy Rappinghood’ was issued as a double A-side with the classic ‘Genius of Love’. The sound of both songs would be revisited 15 years later when sound engineer Steven Stanley would clearly compose the (same) beat rhythms for Mariah Carey’s ‘Fantasy’. Recent reflections on the 50th anniversary of Kennedy’s assassination largely passed me by, but not before I was reminded of the classic and haunting ‘Seconds’ by The Human League. The song featured on their ground-breaking long player Dare. Like most of the album, its brilliance was largely overshadowed by the incredible success of their single ‘Don’t You Want Me’. No guitars, no bassist, no drummer, this was synth pop pushing the boundaries, and it didn’t get better than Philip Oakey’s voice via a Roland Jupiter-4 synthesiser. It revolutionised the 1980s sound.